The 2019 legislative session is underway! 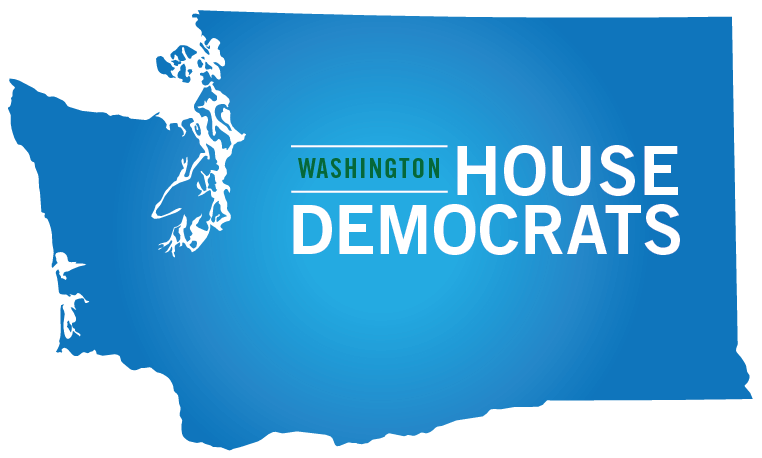 With Sara Gentzler based in Olympia and Emily Boerger in Olympia off-and-on throughout the session, we’ll have a lot of eyes covering the conversation in 2019. It means we will have a lot of independent and original content to feature for you during this session, something you’ll see in this edition of the Morning Wire. I review last year’s predictions for 2018 here. I made four of them. And, while I might be taking a bit of liberty in awarding half a point, I’m giving myself a score of 3.5 on the four predictions I made for 2018. 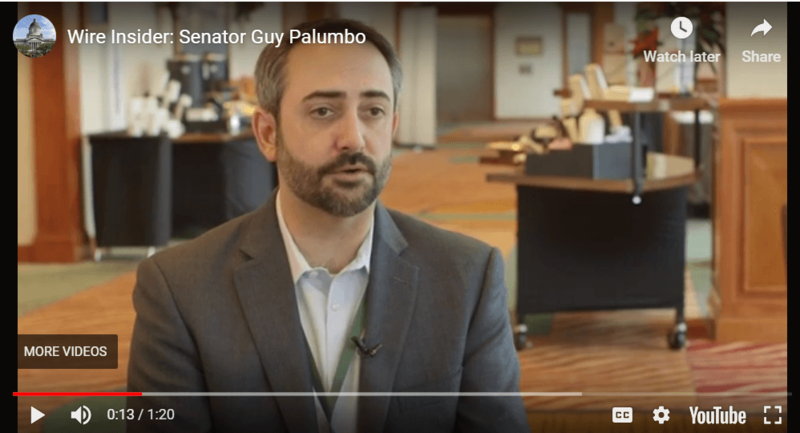 At our Re-Wire Policy Conference, we sat down with Senator Guy Palumbo for a “Wire Insider” video interview. 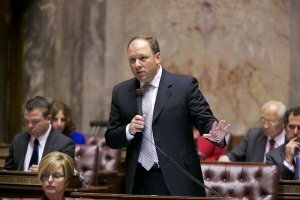 Sen. Palumbo, who represents Washington’s 1st LD, talked about making infrastructure a priority this session and the advice he’d give new legislators. It won’t take long following word that Inslee won’t run for a third term as governor that multiple candidates will get in the race to succeed him. 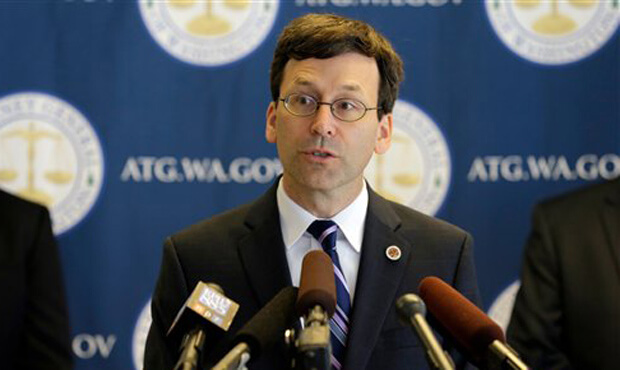 Two names who are expected to run are King County Executive Dow Constantine and Attorney General Bob Ferguson. Both would be strong candidates – and both will announce their intentions to run when Inslee lets it be known that he won’t run for governor (though he could run for both president and governor in 2020…). Lisa Brown and Hilary Franz may take a look at this, too. If there are a bunch of men in the race, a woman could have some demographic advantage among progressive voters – many of whom are women. This is particularly true during our era of the #metoo movement. Ask a member of the House Democrats and they will tell you about the House Rules Committee chamber. On the wall are portraits of past speakers. Every one of them is a man. With a more diverse caucus than prior years, and one that is more female than it’s been for the last decade or so, I’m betting that House Democrats will elect their first woman to be speaker during the re-organization in April of this year. The leading candidates are, I’m told, June Robinson, Laurie Jinkins, and Monica Stonier – all of whom are strong, passionate, capable legislators and potential speakers. Someone said this announcement should have come a few years ago. But, 2019 is the year Inslee will jump in the race for president. Following a leadership role at the Democratic Governors Association, where Democrats picked up seven seats in the 2018 elections, Inslee has built a network of contacts and relationships that can support a national run. Moreover, I’m told some of Washington State’s big money donors may have enough interest in his campaign to support an independent super PAC to help drive support to his candidacy. When he does announce, climate change will clearly be a central component. And, as evidenced by the news last week, health care will be a prominent piece of his campaign, too. 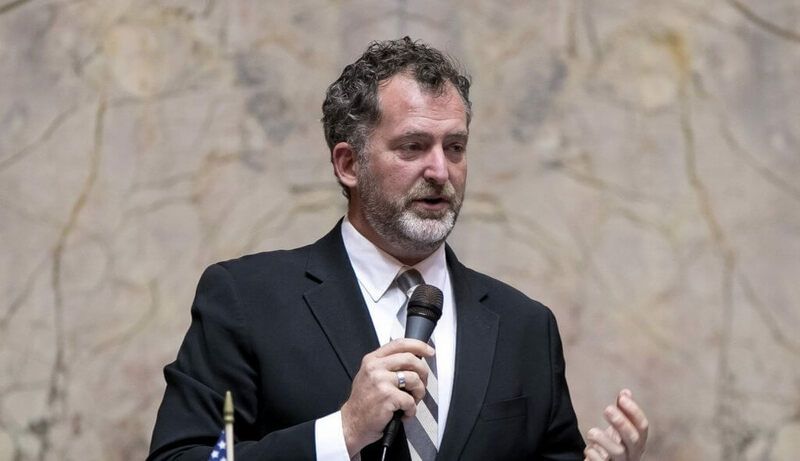 Democratic Senator Kevin Ranker will step down from his post representing the 40th LD, while an outside investigation into his conduct proceeds. Majority Leader Sen. Andy Billig issued a press statement announcing Ranker’s resignation on January 12; according to the statement, 40th LD Democrats will now nominate three names, from which county legislative authorities in the LD will choose the person to fill Ranker’s spot through the rest of his term. While we were on hiatus last month, the State Senate announced it was conducting an outside investigation of Sen. Ranker, into accusations made by Ann Larson. The Seattle Times reported that Larson said Ranker “made unwanted advances, touched her inappropriately and seemed to grow increasingly angry as she rebuffed him” when she worked in his office. 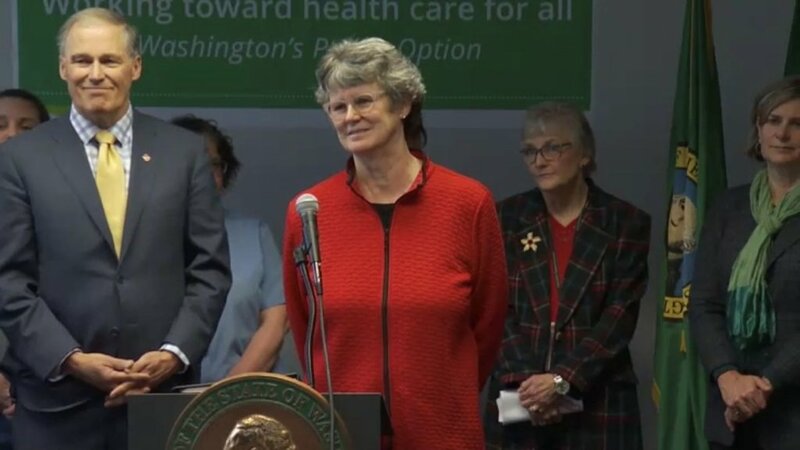 Last week, Governor Jay Inslee announced his support for a public option for health insurance in Washington State. 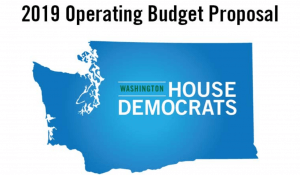 According to the governor’s office, the proposal would direct the Washington Health Care Authority to contract with carriers, which would offer plans through the Washington Health Benefit Exchange. 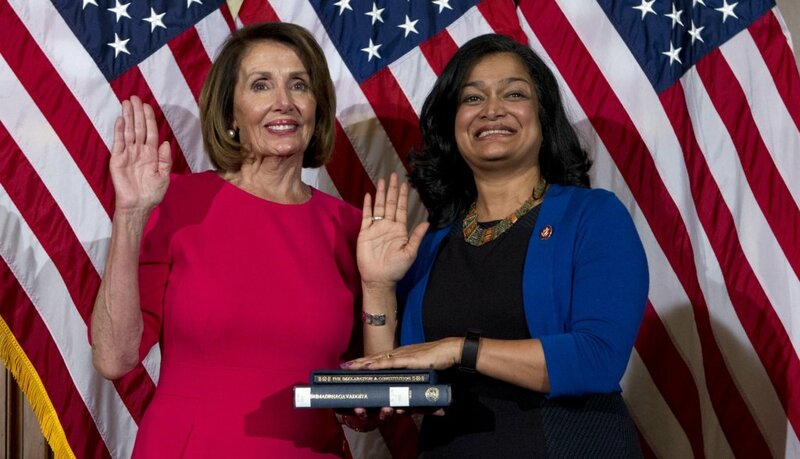 Pramila Jayapal is young at 53 — but not young enough to wait around for 20 years to get a committee chair. In this, her second term, she may be near the apex of her influence in Congress for years to come. She is co-chair of a Medicare for All Congressional Caucus, and is sponsoring national legislation on an issue that is earning a groundswell of support from Democratic voters. Medicare for All feels something like an issue whose time has come for progressives and folks on the left — and Jayapal is trying to muscle to the front of that parade. Meanwhile, Adam Smith — also young at 53 — has been paying his dues in Congress since his election in 1996. He now holds the chairmanship of one of the most important committees in the House: the Armed Services Committee. In a time of political tumult (think start of Democratic contest in 2020, Mueller Report, etc), the Armed Services Committee provides direct civilian oversight of the military. It should be a perch from which Smith’s even-keeled approach will shine in 2019. You’ll see both of these figures play meaningful roles in the national conversation — on TV, in Congress, and as thought leaders for the republic. Gov. Inslee will take to the podium today to give the annual State of the State address. But we already have a good idea what to expect as he outlines his priorities for 2019: clean-energy legislation, a public option for health insurance, transforming the behavioral healthsystem, statewide broadband, saving the state’s orca population, building on the state’s response to the opioid crisis, support for the state’s youngest citizens, support for the state’s maritime industry, and expansion of programs to encourage students to attend college will all likely make the speech — along with perennially hot issues in the Legislature like homelessness and gun control. But how many of his priorities will be genuinely directed at the state Legislature, and how many will be directed at building national appeal leading up to a 2020 presidential bid? We’ll see.